Without looking, can you recite your partner’s license plate number? What about your car’s VIN? There are a lot of important pieces of information about the cars in your family that you probably can’t recall off the top of your head. Here’s how to store and organize that information with Dash, plus a little help from an OBD-II adapter. 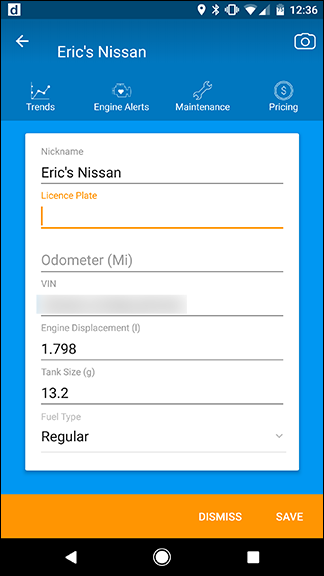 Dash is a useful little app that can store information about your car, track your driving, and diagnose check engine lights for you. Most of these features require an OBD-II adapter, a type of cheap Bluetooth dongle starting at around $20 that you can connect to your car to pair it with your phone. You can read more about them in our guide here. However, you don’t necessarily need one to store basic information about your car with Dash. To get started, install the Android or iOS app and open it up. Tap the car icon in the bottom-left corner of the app. This is your “Garage.” Here, you can store info about as many cars as you want. It’s particularly helpful if you have multiple cars in the family. 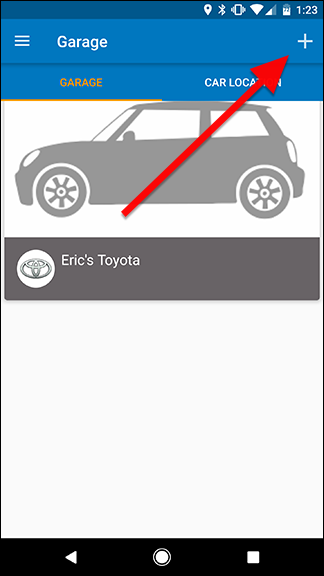 To add a new car, tap the plus sign in the top-right corner. On the next screen, enter the make and year of your car and tap Next. 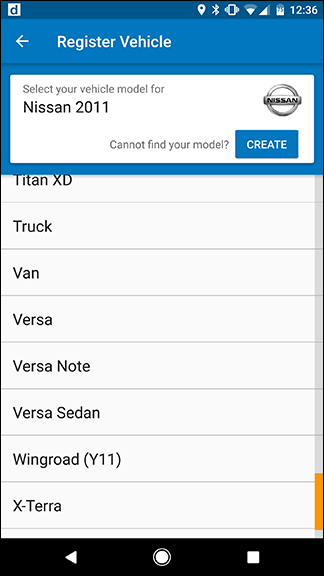 After that, choose the model of your car from the generated list. If you need to check a sub-model (usually identified by number of doors, body style, or engine size), choose it from the list. You’ll see a summary of the info you selected on the next screen. Tap the orange checkmark icon to confirm. 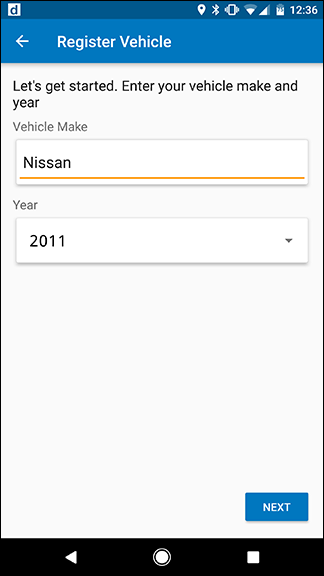 You’ll now see your car in the list of cars in your Garage. However, you’ll still want to add some information while you’re here. Tap on your car in the list again to edit it. Tap the orange edit icon in the lower-right hand corner. 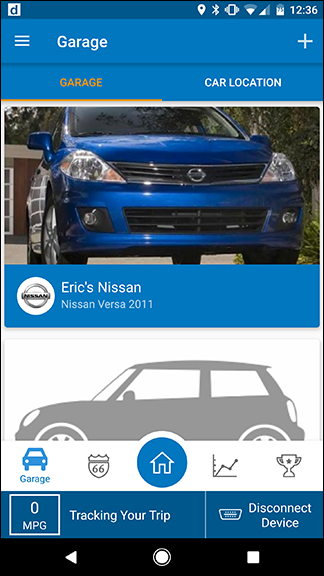 You can also tap the camera icon in the top-right to add a picture of your car, if you want. At this point, your OBD-II adapter can come in handy. 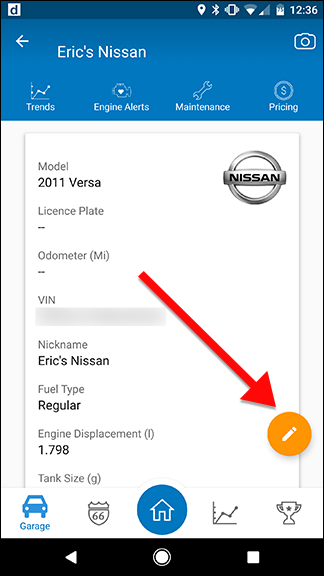 If you have an OBD-II adapter connected to your car and paired with your phone, then your VIN will automatically be filled in the next time you turn on your car. Otherwise, you can enter it here manually, along with the car’s license plate number and mileage. 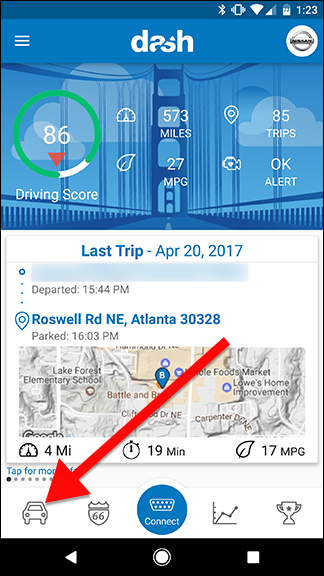 Additionally, if you keep your OBD-II adapter connected to your car to log every trip with Dash, your odometer mileage should update within the app every time you drive, so it’s always current. If you don’t use an OBD-II adapter, you’ll need to update this manually. 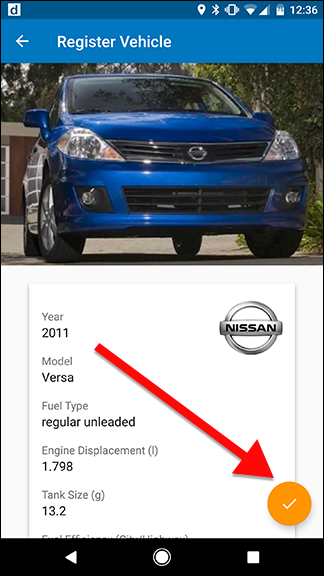 Every time you get an oil change, for example, would be a good time to update this information. Dash will also remember where you parked your car if your adapter stays connected when you drive. When you’re done adding this info, tap Save. Once you’ve added all this info, you can refer back to it later so you don’t need to wonder what your VIN is, or try to remember your spouse’s license plate number. 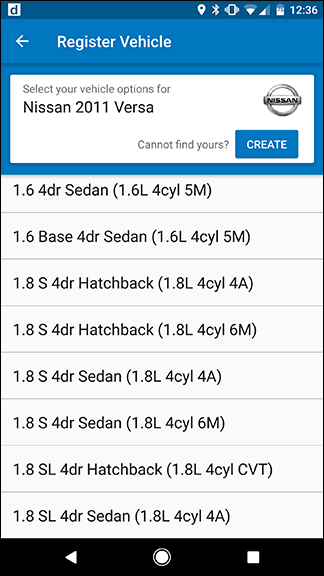 Additionally, you can get pricing estimates from Edmunds.com within the app to find out how much your car is worth in its current condition.